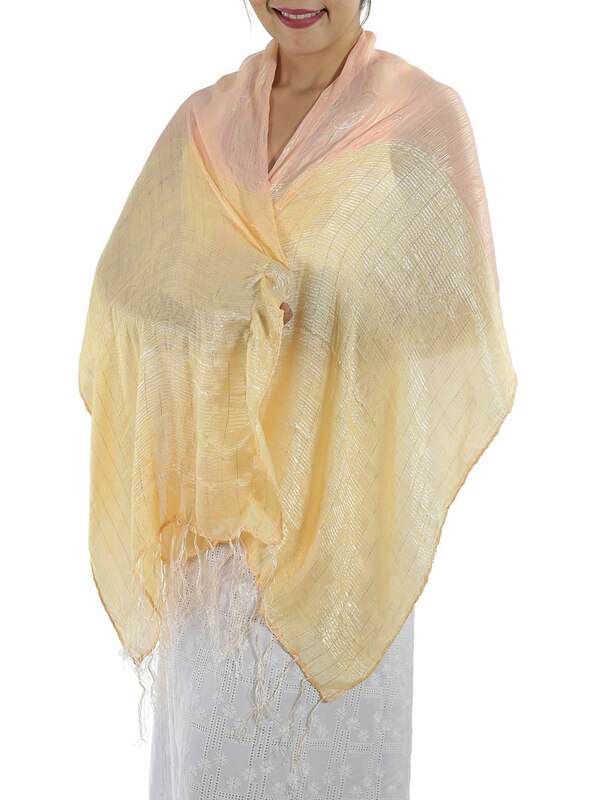 This light and soft Baby Pink Silk Scarf, look great draped loosely around your neck or body, and gives you endless looks and styles. 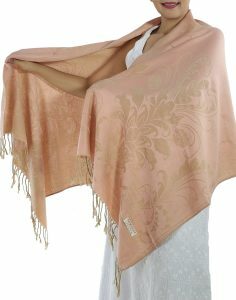 This Soft Baby Pink Silk Scarf is made from silk and cotton, with sparkling silver thread running delicately through it. 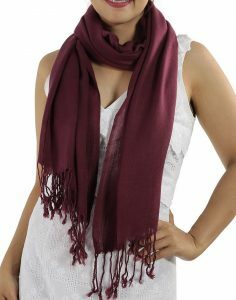 The Baby Pink Scarf is light and breathable, it is a gorgeous addition to your wardrobe, giving you relaxed glamour any time of year. 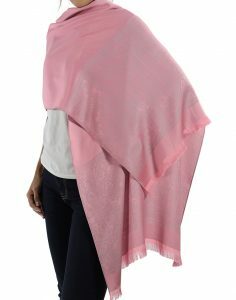 Being a woman in today’s world is all about finesse, and the lissome quality of a baby pink silk scarf delivers exactly that! 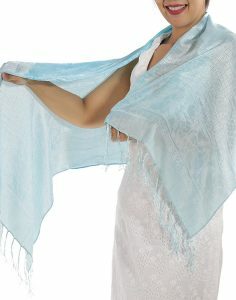 With thaisilkandscarf.com, you can instantly upgrade the worldliness of your wardrobe with an authentic and hypoallergenic silk scarf delivered directly your doorstep within ten days. The simple versatility and luxurious softness of a baby pink silk scarf will have you doing twirls in your hallway like a movie star. Thai silk is truly a versatile fabric that will make you the talk of the town as there is a reason it is known as the ‘queen of fabrics’. 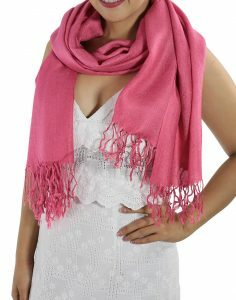 A baby pink silk scarf is the perfect flirtatious way to refuse to let the dreariness of the winter months put a stranglehold on the colors of your ensemble. 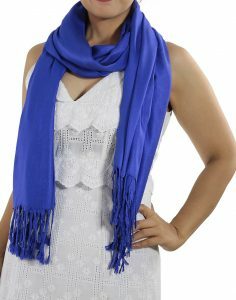 You can tuck it into your jacket with a ‘braid’ knot, highlight your torso with an ‘infinity twist’ or protect your neck from the hard elements with the European classic ‘muffler’ knot. 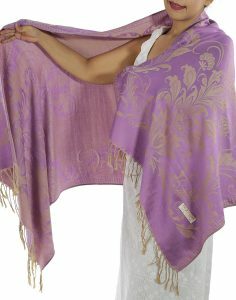 Thai silk is light, which makes it wonderfully suited for summer weather as well, despite being a robust enough fabric to be able to resist stains and odors. 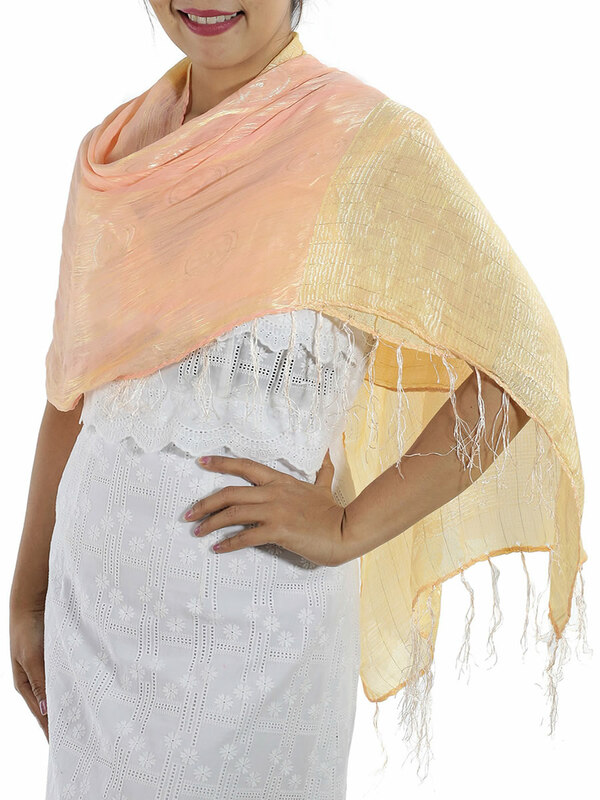 You can spruce up your beach outfit by tying your baby pink silk scarf into a halter-top. 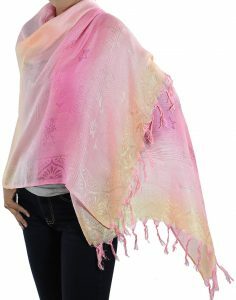 Honestly, any way you wear a Thai silk scarf is bound to make your day. 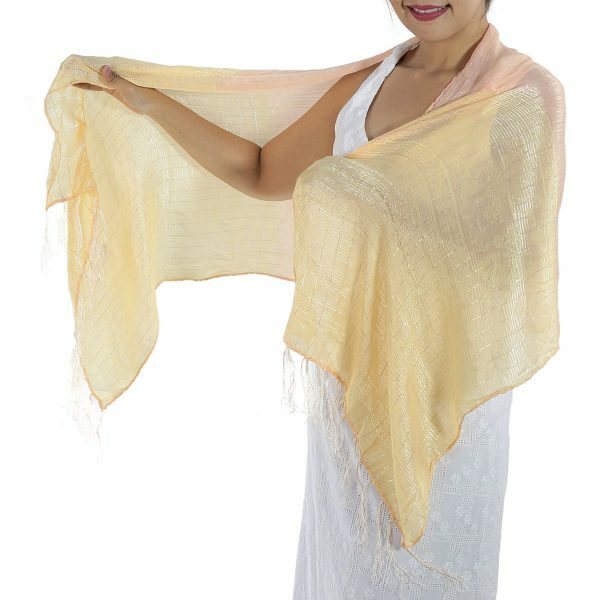 So, why not take advantage of the world literally being at your fingertips and order a baby pink silk scarf, or any other color from our comprehensive inventory, directly from a reliable family wholesaler in Thailand. Cut out the middleman and avoid the pricey markups of those overseas retail stores. 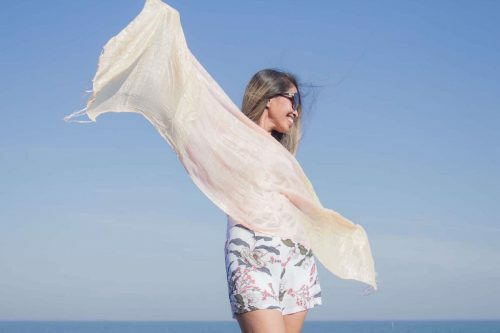 Do so, and soon you will almost be able to feel the tropical ocean breeze of Thailand as your lovely new baby pink silk scarf flutters in the wind behind you.